This Datatag Vehicle Forensic Award Course is accredited with the IMI (Institute of the Motor Industry). It has been specially designed in order to replace an essential skillset which has been gradually eroded over several years of cutbacks within the police service. With the demise of stolen vehicle squads throughout the UK, the aim of this course is to re-introduce and re-train officers in a cost effective manner. This one day course will appeal to wide range of law enforcement personal such as vehicle examiners, ports officers, RPU officers and rural crime officers, PCSOs or any Law Enforcement who is likely to come into contact with stolen vehicles. This Datatag Vehicle Identification Award Course is accredited with the IMI (Institute of the Motor Industry). The course came from a demand from operational Police officers needing a greater understanding and confidence of what they were looking at when stopping vehicles. The course covers most aspects of detailed identification, whether it is a physical inspection or one that is only seen in one dimention. With the demise of law enforcement staff throughout the UK with Stolen Vehicle experience, the aim of this course is to introduce and train students in a cost effective manner. This course will provide the officer with the knowledge to select and correctly identify a piece of suspect machinery, whether it be on patrol, road check, raid, or port, and is accredited with the IMI (Institute of the Motor Industry). 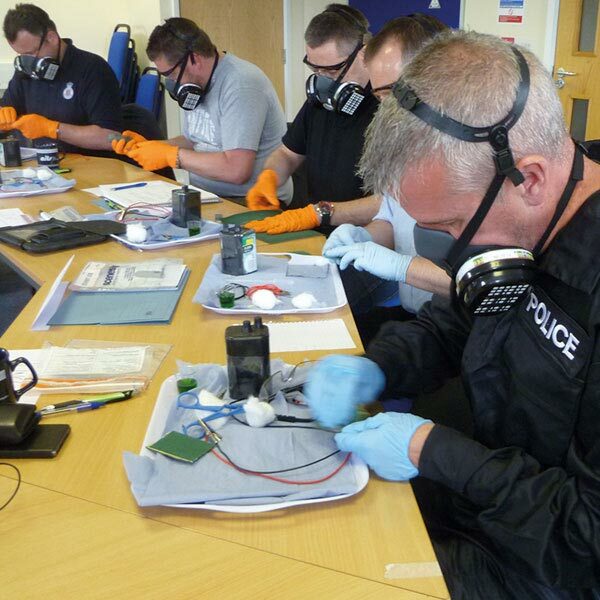 This course would appeal to a wide sector of personnel within law enforcement such as roads policing, ports, customs, FIB, PCSOs, SOCO, vehicle examiners, etc. 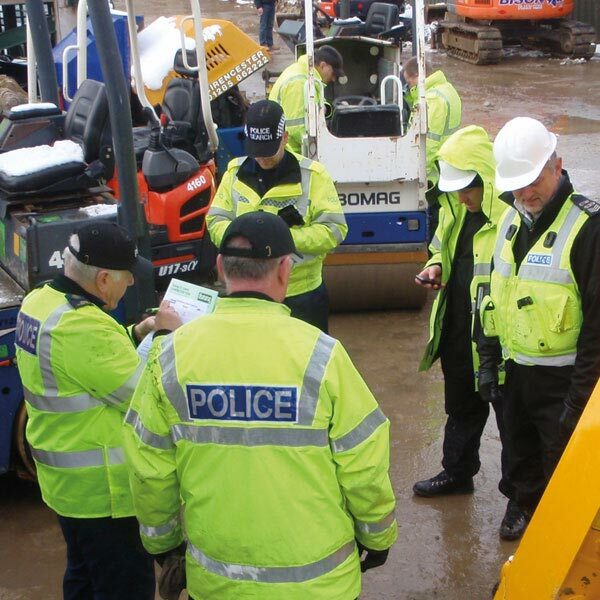 After the course, each officer will leave having the confidence to stop, examine and deal with a piece of plant or agricultural machinery effectively. All training courses can be held anywhere around the country. Costs will vary on location and accomodation. Max students per course is 12. Some forces find this easier to bring the trainer to the students and to minimise costs. Greg Woodward (West Midlands Police) - "I would like to take the opportunity to thank Datatag for the recent series of inputs they have provided to Central Motorway Police Group. The professionalism and level of knowledge displayed by Nick and Vince in their respective subjects of stolen plant and vehicle identification were extremely high. The inputs have increase confidence levels in our staff when working in these areas and has seen vehicles recovered in recent days which would previously have been allowed on their way." PC Chris Gray (Northamptonshire) - "Great course, has opened my mind to some very sophisticated techniques. Thank you." DC Alex Boxall "Really enjoyed the course and was very insightful. It was great to be challenged... Excellent Course." Mark O'Rioron (Garda) - "Fantasic learning experience, which has given me the necessary tools for the identification of stolen vehicles." Stephen Edwards (Dorset, Devon and Cornwall Vehicle examiner) - "Excellent content. A huge amount to take in over the 2 days. Very worthwhile." Clive Harris (NFU Insurance) - "Intense but enjoyable and full of interesting information"
Mark Cooper (AXA insurance) - "Excellent we really need to involve more Insurance staff." Chris Mackay (Vehicle Inspectorate Jersey) - "The course was intense but very informative and useful, giving various tips and hints as to where and what to look for."